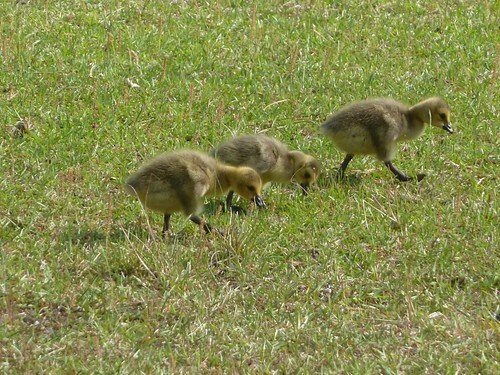 A couple of weeks ago I posted a Wordless Wednesday about the new goslings. Then we went out of town for two weeks. Those geese grow very quickly. 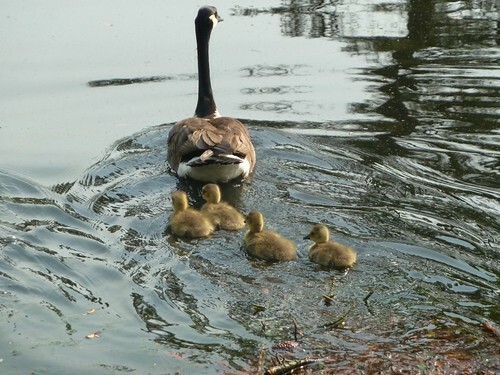 Sadly, nature had run its course and the family of seven goslings was down to five. But never fear, for while we were away, this family wandered up. We have NO IDEA where this little group was nesting. 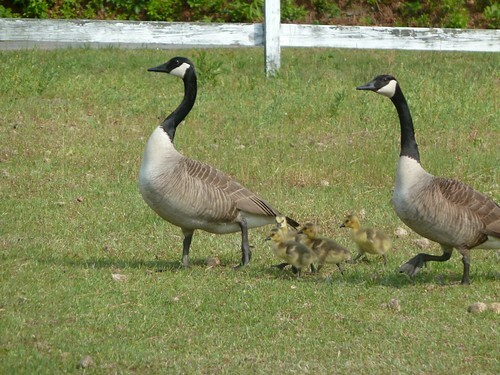 We try very hard to discourage them because the geese imprint with the place of their birth. 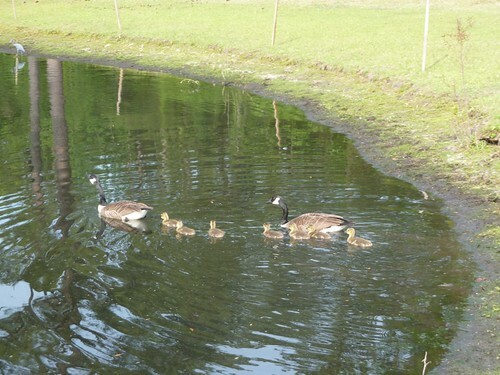 It isn't a very big pond and we have so many geese now that think of it as home. The amount of goose poop in the pastures is ridiculous. 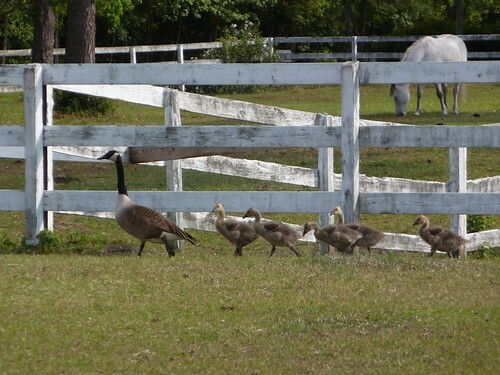 When the geese produce more poop than the horses, you know you have a problem. This group had to have been in the woods nearby because these babies were brand new. We will have to come up with some new methods to discourage them next year but for now we will try to watch after them. You just cannot deny their cuteness. 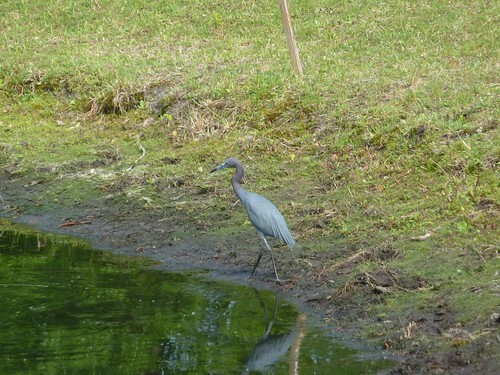 Oh, and I think this guy is just here for the fish! Beautiful pictures and how wonderful to have this family unfold right before you ~ you live in a gorgeous place ~ must be why you are so grounded!